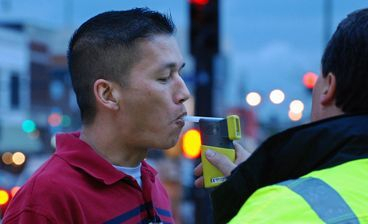 A breathalyzer is a familiar concept with most drivers. It is designed to test a driver’s blood alcohol content (BAC), and is often times used when a driver is pulled over for suspected alcohol abuse. - In the case of a DUI, the driver is asked by a police officer to provide a breath sample into the breathalyzer machine. - The machine then calculates the amount of alcohol content in the sample of breath. - The machine then converts the amount of alcohol into the standard BAC measurement. Police officers use the reading as evidence that the driver was under the influence of alcohol at the time of the arrest. Is the breathalyzer always accurate? No. Issuing a sample of breath at a DUI stop has become common practice, but the breathalyzer is not always accurate in approximating blood alcohol content. There are various factors that can affect the reading on a breathalyzer. -Improper alignment. The breathalyzer is just like any other scientific instrument. If it is not properly aligned or tuned, it can provide inaccurate readings. -Mouth alcohol. A person with good oral hygiene should not be penalized for driving. Some breathalyzers have shown false readings for people who recently used mouthwash. The breathalyzer picks up the alcohol in the mouthwash, even if a person has not consumed a trace of traditional alcohol. -Diet. There have been studies conducted that have shown that people with diabetes and people on certain diets post inaccurate results on breathalyzers. Various compounds in the mouth among these groups are not prominent in most people, and can have an affect on the breathalyzers’ readings. -Prior use. Studies have shown that the previous use of a breathalyzer may contain a small alcohol content from a previous user. This amount may push a driver over the legal limit. If you think your breathalyzer test may have been inaccurate, contact the Attorneys at Hornsby & Hornsby, Attorneys at Law to speak with an experienced DUI lawyer. Don’t let someone else’s mistake ruin your driving rights. Call our office for a free consultation today at (205) 856-1000.